Address: St Martin’s Lane, WC2. Opened in 1903 as the “New” Theatre. It was renamed the “Albery” 70 years later as a tribute to the late Sir Bronson Albery under whom it had such a distinguished history-today continued under the direction of his son, Sir Donald Albery, and grandson Ian Albery. (From TABS Autumn 1977). 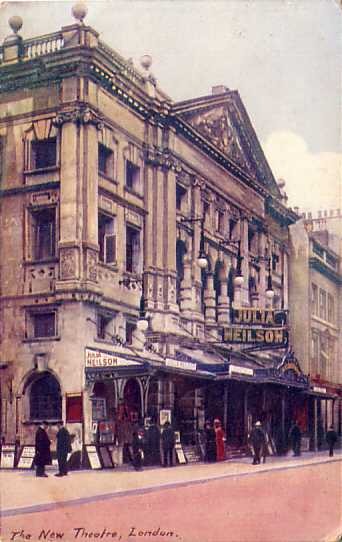 Due to bomb damage, the Old Vic and Sadler’s Wells companies moved to The New Theatre in 1941. Changed name to The Albery, to commemorate Mary Moore’s son, Bronson Albery, who presided over its fortunes for many years and was later succeeded by his son Donald, and grandson Ian. 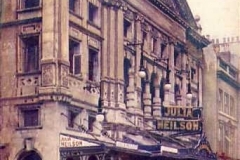 The Albery family made a unique contribution to the history of the theatre as both managers and producers between 1903 and 1987. Oliver! revival using the original Sean Kenny sets (21 December 1977 – 20 September 1980) starring Roy Hudd & Joan Turner, then Roy Dotrice & Gillian Burns & Margaret Burton, then George Layton & Helen Shapiro. Equus (April 1977 – 18 June 1977) Directed by John Dexter, starring Michael Jayston and David Dixon. National Theatre production, running in rep since 1973. The Thyratron dimmer installation was replaced in 1955 with a System CD console and electromechanical servo dimmers due to a problem with ‘singing’ lamp filaments. Electrics: Strand PR board in rear of stalls. Dimmers – 134; 2 presets; no groups. Circuits – FOH 16; Flies 66; Stage dips 46; Perches 6. Total capacity available – 292kVA on 3 phases. Special effects supply – 30 and 60A both on 3 phases. Socket type – 15A BESA. Follow spots – positions in rear of Balcony for 2 Patt.265 if required. Sound: Console in prompt corner by special arrangement in rear of Royal Circle. Amplifiers – 2 stereo x 15W and 1 x 65W. Tape decks and turntables as required available for hire. 8 mic sockets (2 Sennheizer LR miss in auditorium). 4 loudspeakers (2 in stalls, 2 in top boxes). Switchboard: Strand MMS, 200 Channel Capacity with special facilities, rear of stalls; circuit distribution FOH 60; Flys 82; Stage 54; FOH Spots 22 Patt 264, 8 Patt 23. Own generator. Arri Imagine 250 board. 130 @ 2kW, 10 @ 5kW, 10 non dim, operated from rear of stalls. Mini-II racks or STMs added as required. Up to 100A 3 phase supplies available. Followspots operated from Grand Circle. 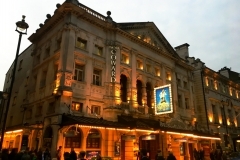 1920 Noël Coward made his West End debut as Bobbie Dermott in his own play I’ll Leave It to You. 1924 Sybil Thorndike created the role of Joan in G B Shaw’s play Saint Joan. It was described by the Daily Mail as ‘one of the great performances of our time’. 1926 Margaret Kennedy and Basil Dean’s play The Constant Nymph had a great success with both Noël Coward and subsequently John Gielgud taking the part of the composer Lewis Dodd. 1941 The theatre became home to the Old Vic and Sadler’s Wells companies when their own theatres were bomb damaged. The Vic-Wells ballet gave their first West End performance of a triple bill starring Margot Fonteyn and Frederick Ashton on 14 January. 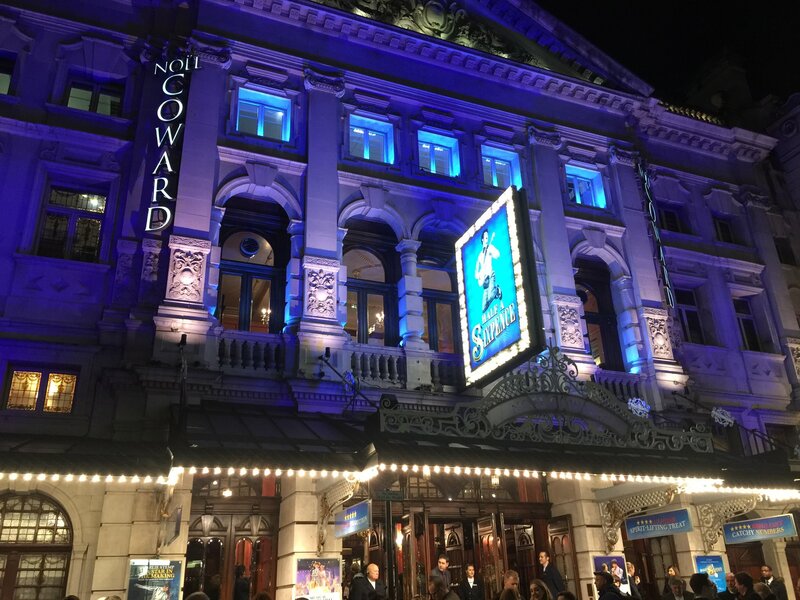 The numerous star-studded Old Vic productions included Ralph Richardson as Peer Gynt and Laurence Olivier as Richard III. 1950 London premiere of T S Eliot’s comedy of manners The Cocktail Party based on Alcestis by Euripedes, starring Rex Harrison as The Unidentified Guest and Margaret Leighton as Celia. 1952 Katharine Hepburn made her West End debut as Epifania in The Millionairess. Shaw had himself described her as ‘the born decider, dominator, organiser, tactician, mesmeriser’. 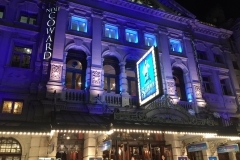 1973 The theatre changed its name from the New to the Albery to commemorate Mary Moore’s son, Bronson Albery, who presided over its fortunes for many years and was later succeeded by his son Donald, and grandson Ian. The Albery family made a unique contribution to the history of the theatre as both managers and producers between 1903 and 1987. 1973 Joseph and the Amazing Technicolor Dreamcoat written by Andrew Lloyd Webber and Tim Rice had commenced life as a 20-minute ‘pop cantata’. By the time it reached the Albery it had doubled in length and was performed with another piece, later phased out, entitled Jacob’s Journey. 1994 A Month in the Country with John Hurt and Helen Mirren was the Albery’s most successful play ever. Mirren’s personal success as Natalya Petrovna led to her Broadway debut the following year. 2001 Lindsay Duncan and Alan Rickman took London by storm with their modern, highly charged performances as Amanda and Elyot in Coward’s Private Lives. 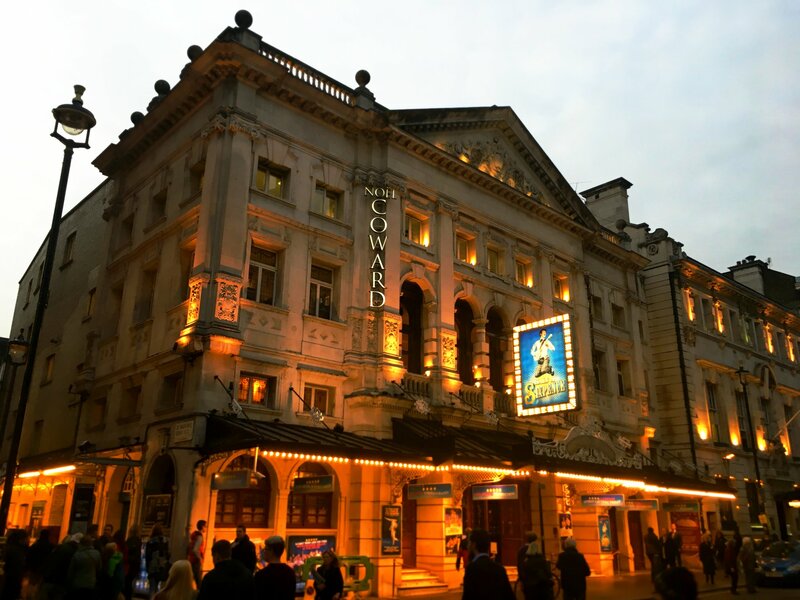 2012 For the first time in their 30-year history, LIFT presented a show in a conventional West End venue. The eight-hour-long Elevator Repair Service production of Gatz was described by Ben Brantley as ‘The most remarkable achievement in theatre not only of this year but of this decade’.